The Booth — Magnolia Photobooth Co. The future is here! Gone are the days of a box booth and low quality photos. We offer the best backdrops and props in combination with the most up to date technology. You and your guests can tweet, text, email and/or post your pictures to social media. This gives you and your guests’ pictures that will provide memories of the moments that make life fun. Regardless of age or occasion, Magnolia Photobooth Co., is sure to be a huge hit. Magnolia Photobooth Co., allows for more than one or two of your guests to be in the picture. The more people the more fun ! Then be sure to use the booth to share your fun on social media, with just a quick click! 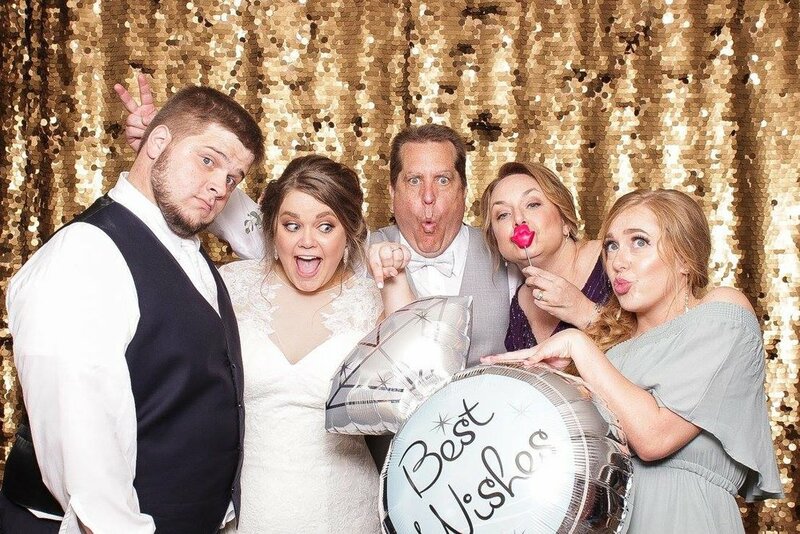 Every customer has a vision and our goal at Magnolia Photobooth Co., is to ensure you have memories that add to the excitement of your special event. We will help you with the perfect template and backdrop selection for your event. From Proms to Anniversary celebrations, guests of all ages will have a great time with our custom backdrops, props and templates.